The Coal Ministry has estimated that allottees of 60 coal blocks may have enjoyed benefits worth as much as Rs 1.97 lakh crore by receiving these blocks for free, a source familiar with the developments in the ministry said. The union government allotted 60 coal blocks to private as well as public sector companies without any competitive bidding between the years of 1998 and 2009. Of these 60 coal blocks, seven were awarded by the BJP-led NDA government between 1998 and 2004, while 53 were allocated by the UPA government. The Comptroller & Auditor General (CAG) recently said in its report that the government the coal block allotments to private companies were made at throwaway prices, and pegged the loss to the taxpayers at 1.86 lakh crore. 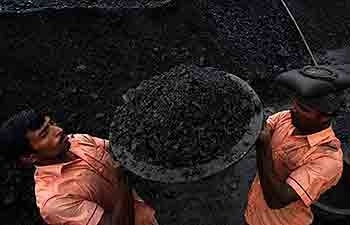 The report prompted the BJP-led Opposition to demand the cancellation of all the coal block allocations. In the latest report, the source also said that the 60 coal blocks could be cancelled as the concerned allottees didn't took steps to develop the blocks. Speaking on the condition of anonymity, the source said, "Sixty coal blocks with 6.7 billion tonnes valued at nearly Rs 1.97 lakh crore can be cancelled due to lack of progress as ascertained by the Coal Ministry in the meeting of January, 2012." India ranks third on the list of the world's largest coal producers after China and the United States. Coal is the most important energy source in India's energy sector as it accounts for nearly two-thirds (66 per cent) of the country's total power generation.